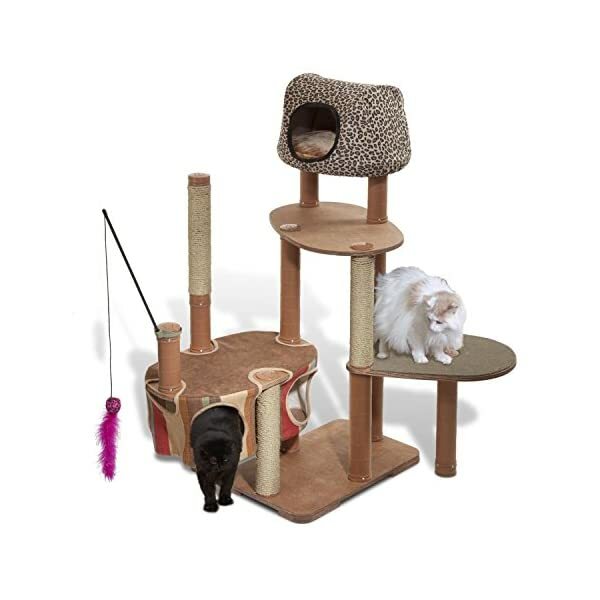 Your friendly feline will love the luxurious space the Kitty’scape™ Cat Tower Play Structures Deluxe Playscape Kit has to offer. 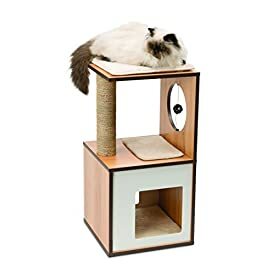 Constructed of durable wood, this tower structure provides your cat will everything he/she will need, such as a comfy penthouse canopy, hammock hideaway, three seagrass scratching columns, and a teaser toy. 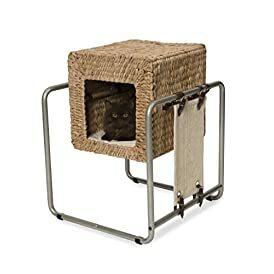 Perfect for one cat or multiple. Solvit Products designs high-quality items specifically for pet owners who are devoted to their pets. Rather than make everything for pets, Solvit Products aims to be a leader and innovator in a select few categories. 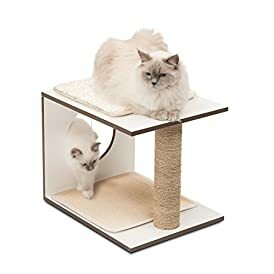 They make their top of the line pet products with unique features and superior functionality that can’t be beat. A leader in pet products, Solvit has the most complete line of pet ramps in the industry and their innovative line of Kitty?scape? 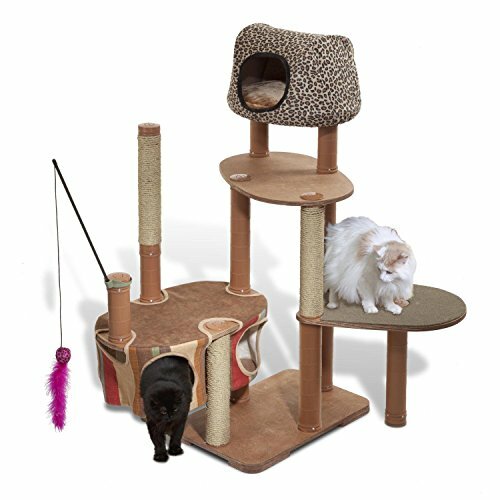 products includes a variety of accessories to mix and match to create your own custom piece perfect for your feline friends. 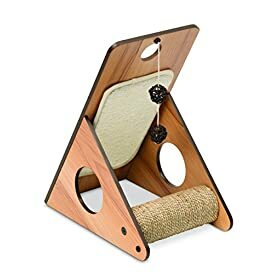 From pet furniture to travel accessories, and products that help you and your pet stay active, Solvit has just what you need. 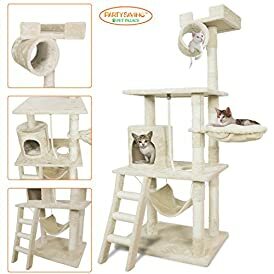 Enticing cat tower structure. Made of wood for durability. Available in Brown. Includes penthouse canopy and hammock hideaway. 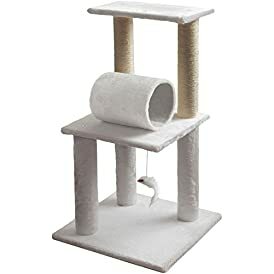 Can reach up to 71 inches high. Weighs 30 pounds.